Today we have decided to turn back the clock and look at an interesting piece of randomness that happened back on Sunday, December 17 2006. 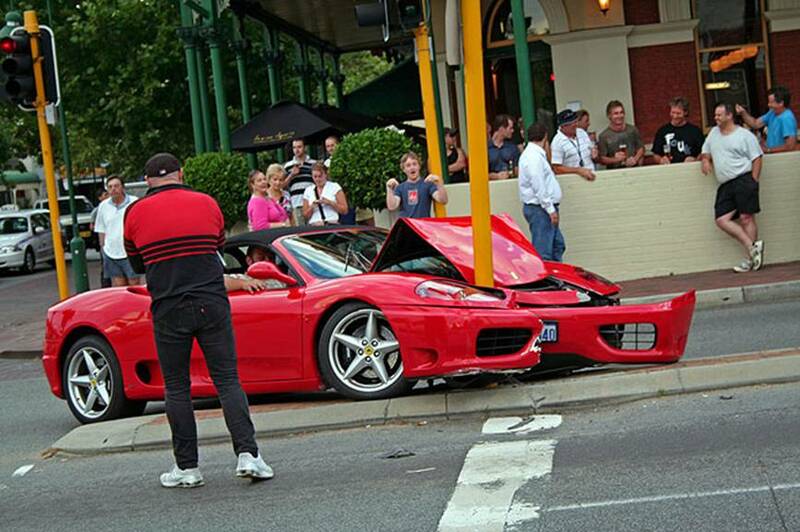 Timing was convenient for this Perth driver, who clearly has more money than sense, when he crashed his newly purchased Ferrari in front of a crowded Windsor Hotel during the Sunday session. Sunday, December 17 2006 at approximately 7pm in the evening. 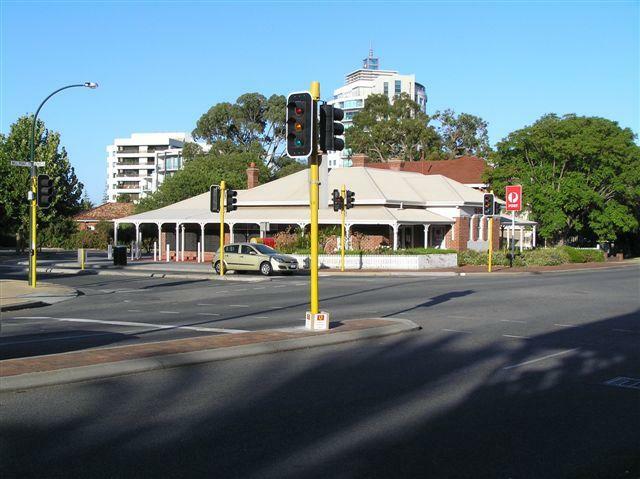 In South Perth, on the corner of Mill Point Rd and Mends St (right outside the Windsor Hotel). 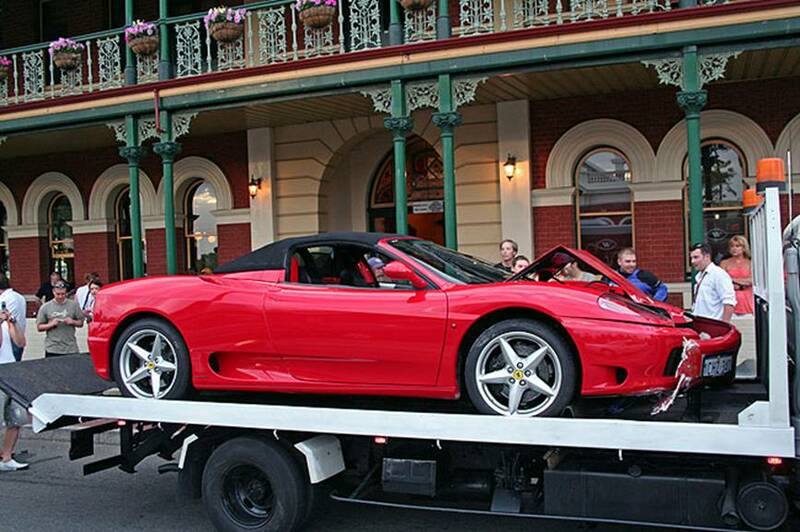 Ferrari 360 Spider - a second hand purchase just one month earlier for a mere $300,000. 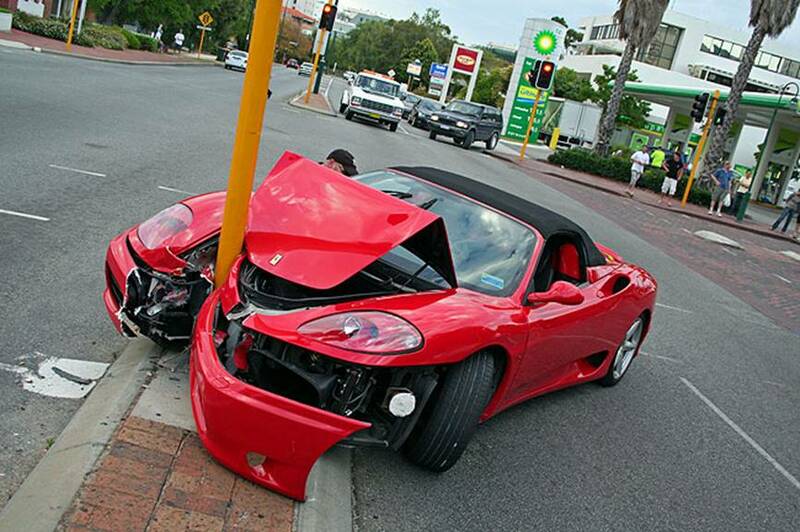 We don't like to name and shame, but we will say the driver was a drunken show off with too much money, and poor driving skills. Fortunately, he was not hurt during the incident. The driver was revving up his engine at the lights, waving to the crowd of on-lookers and probably thinking he was 'all that in a bag o potato chips'. 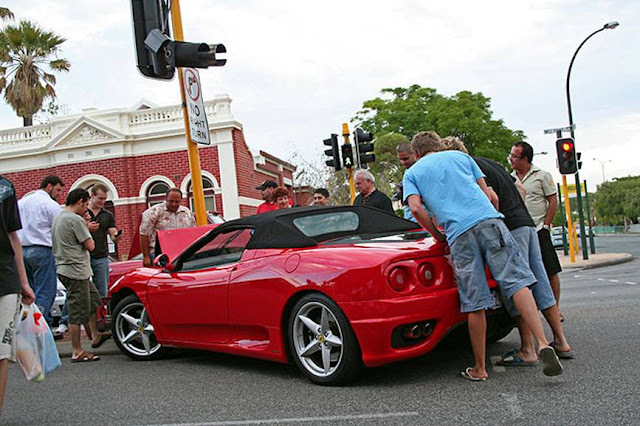 When the lights turned green, he dropped the clutch and floored it around the corner, only to lose control and collide head first into the stationary traffic light post. Apparently he tried to do a runner after the incident, but the hotel security chased him down and held him until the Police arrived. It was later revealed the driver was charged with 'driving under the influence', meaning his blood alcohol level must have been atleast 0.15 or 3 times the allowed limit. 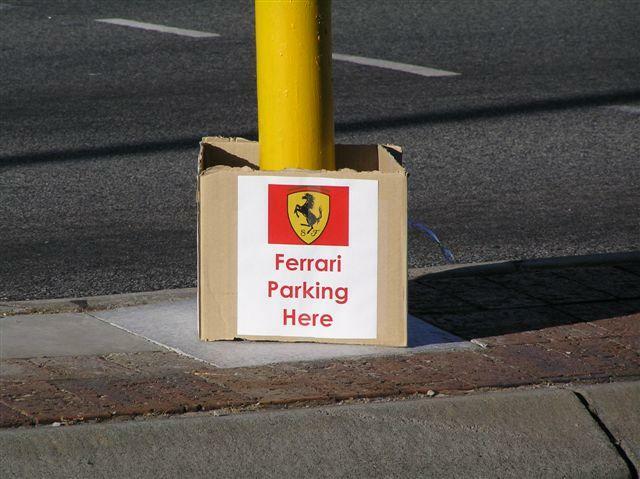 Tell us what you think - send in your comments below.